I’m very excited about getting back to The Town project now that the diorama is finished. 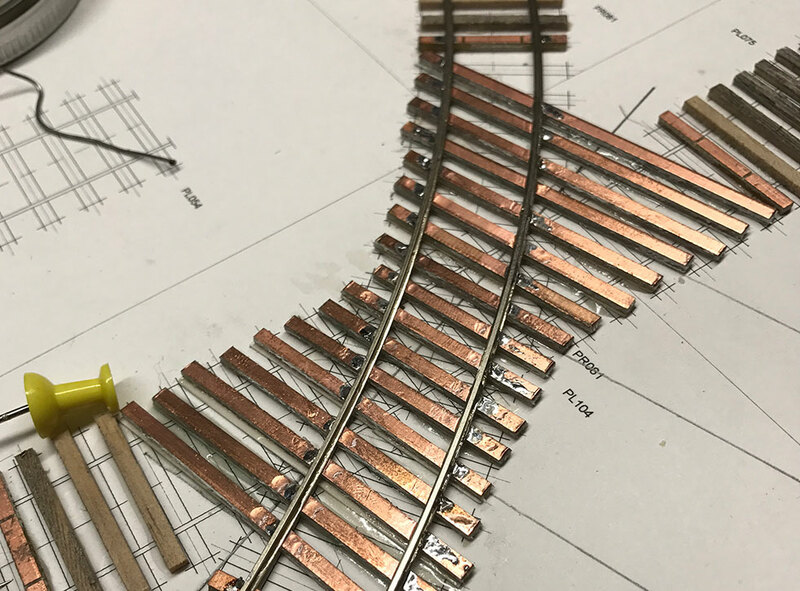 I’ve been mulling over next steps: should I start on some structures or shall I finish the track-laying and powering up? 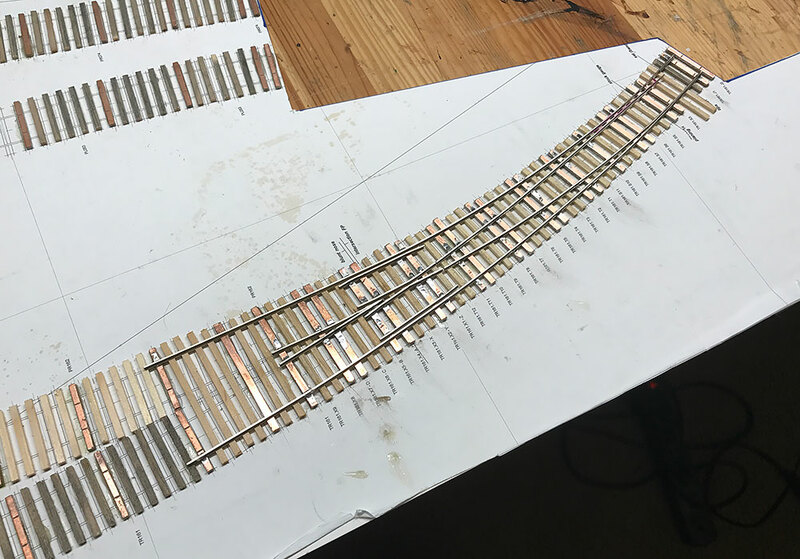 I’ve decided to finish track-laying and the goal is to have a powered locomotive navigate the whole layout. 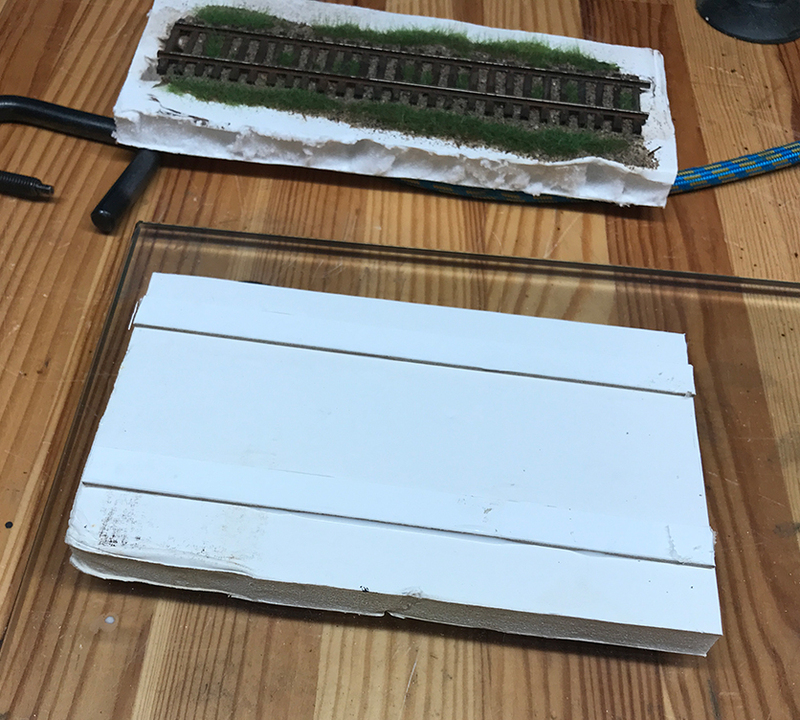 I will also build a second cassette and the exit points and a proper control panel so that I can operate the layout in full before starting any structures. The final turnout went smoothly. 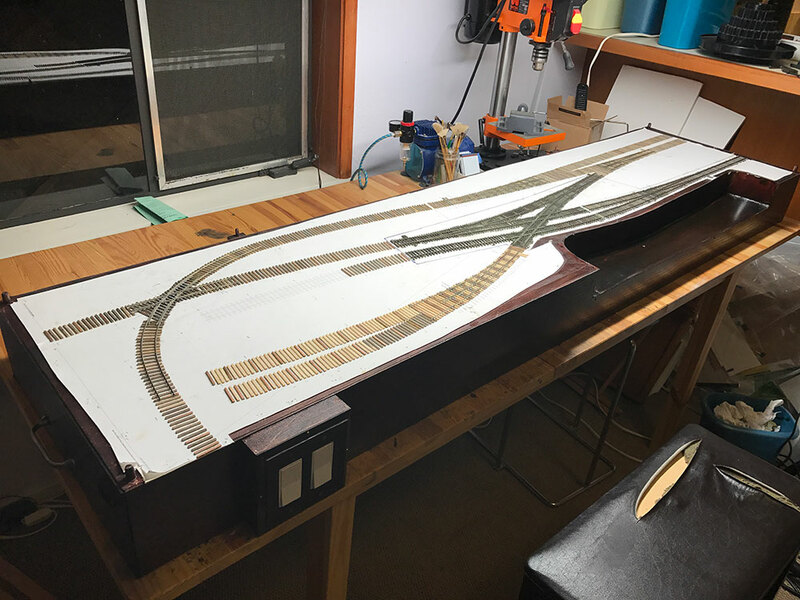 I’m going to add some of the missing pieces such as the crossbars and lead-in tracks during the wiring. The final turnout that leads to the traction barn. I’ll do the tie coloring and add crossbars later in the project. 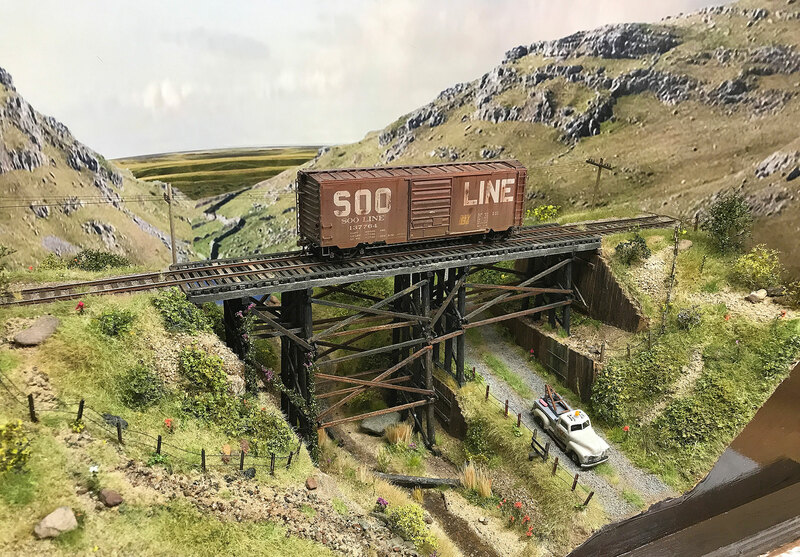 Third crossover finished – or is it? 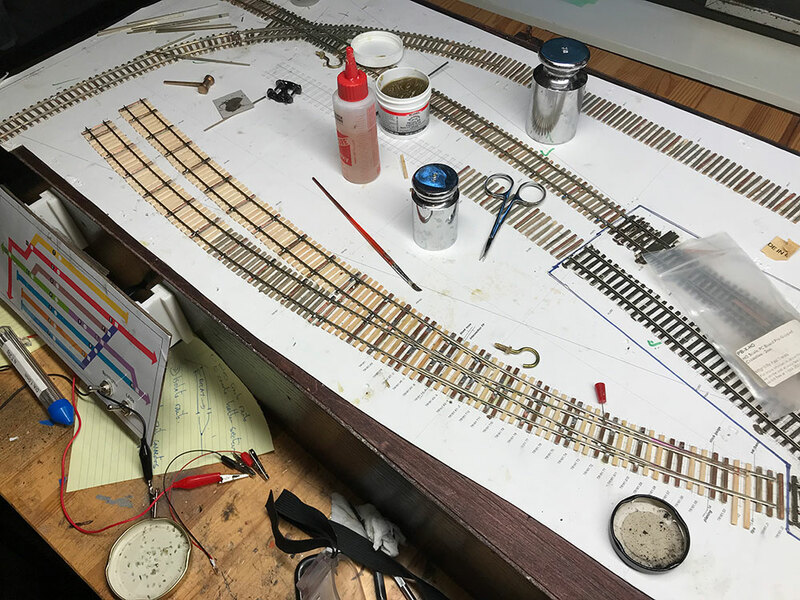 Same process as the first two crossovers – using the Tim Warris notched rails method. The only mistake/customization I made was to make the outer guard rail further from its running rail due to the extreme curve of the track. But it looks interesting and works really well. The trucks run smoothly through the crossover without any issues. First the running rails. 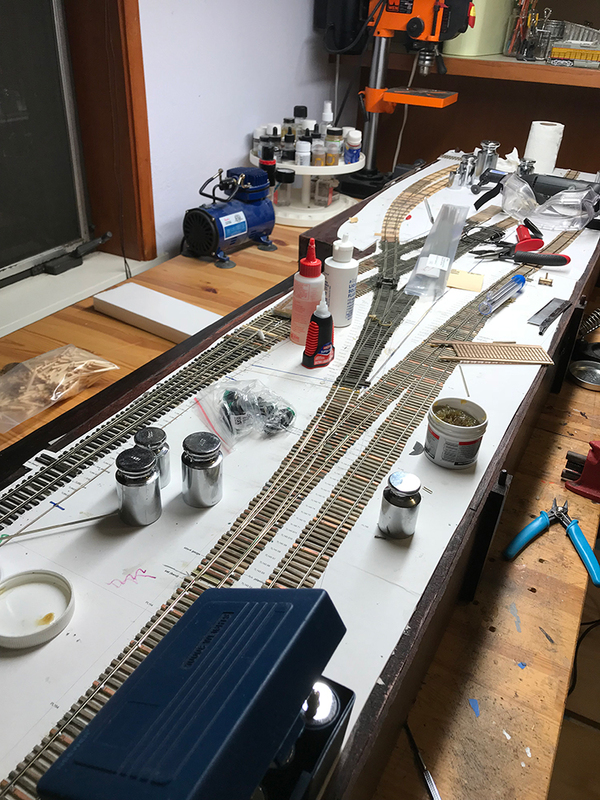 I decided to do the curved rails first because the rails are hard to handle on the curve. It’s best to do the fiddly work with the other rails where there is less tension. Started the final section of track today. I’ve decided to leave the final turnout and crossover attached to the same section of the plan. This week will be spent laying ties and next week I’ll start laying the rail.